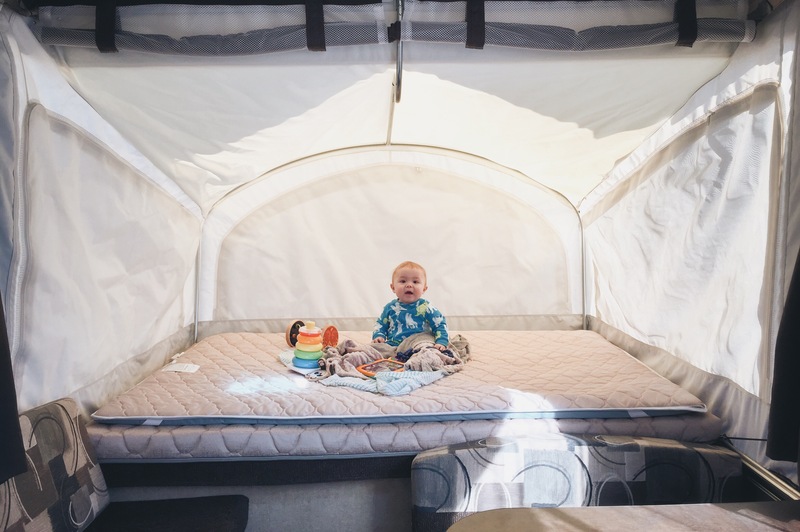 Owen – 8 Months old – checking out his bunk. We bought a camper! And this is the travel journal of our family adventures.